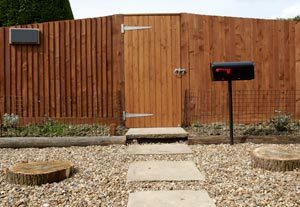 Help protect and preserve your wood fence with Art Fences Fence Staining Services. Fence staining will bring your weathered wood fence back to life, or will preserve the new wood look of your recently installed fence. Fence staining also helps protect your wood fence from environmental elements. Our fence staining process is mildew resistant and contains ultraviolet inhibitors to stabilize wood color and provide long lasting wood protection. If you are planning on selling your home, fence staining can be a very economical way to add significant value and curb appeal to your property. We are also one of the only fence staining companies that offer a warranty with our fence staining projects! Just like all exterior wood, Fence Staining is an important part of wood fence maintenance here in the Houston Metro Area. The good thing is it only needs to be done every few years. There is a lot of preparation involved, including pressure washing and protecting the grass, sidewalks and anything near the fence. The arduous ask of scraping and sanding the fence. A wood fence adds curb appeal and can increase the value of you home — that is, if you maintain it properly. 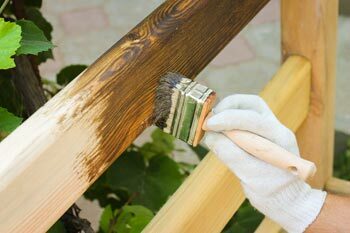 Staining or painting your fence every few years is a crucial step for preventing deterioration. Here are some tips that will help guide you toward a successful fence painting job.